There are lots of reasons why software companies, even those with long legacies in selling packaged software with upgrades, are happy to offer subscriptions. Doing so means more predictable revenue, less churn and, most of all, not having to sell customers on an upgrade every couple of years. But moving to subscription-only, as Adobe is doing with many of its key products, is a bold bet. Microsoft, by contrast, has been agressively creating subscription products such as Office 365 that make core products available for a monthy or yearly fee. At the same time, Redmond has been using its traditional packaged products as a way to tout itself as more flexible than cloud-only rivals such as Salesforce.com. So why is Adobe going subscription-only with products such as Photoshop, Illustrator and InDesign? According to the company, it was just too hard on its engineering ranks to support products that get upgraded constantly as well as separate, packaged versions that only get upgraded roughly every two years. “It’s actually very taxing on us internally to be maintaining two different code bases,” Adobe senior director Scott Morris told AllThingsD. Adobe has been quick to point out that the move shouldn’t hurt its bottom line, but Morris stressed that the new approach also allows the company to deliver advances to customers more quickly. It remains to be seen how customers, particularly slow-moving large businesses, react to seeing the software move to a more constantly changing service. Morris said that Adobe is creating a product that will allow the stodgiest of customers to stay on a particular version of the service (though they will still be paying on a monthly basis). 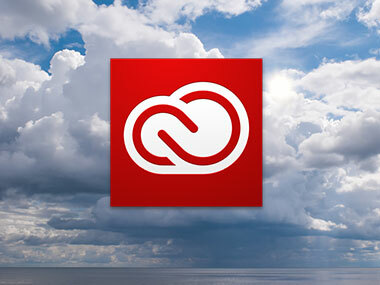 On the consumer side, Adobe plans to continue selling perpetual licenses for products such as Acrobat, Lightroom, Photoshop Elements and Premiere Elements, although Lightroom and Acrobat will also be included with Creative Cloud subscriptions.